Diversification can offset some of those risks — but for most investors, that requires ownership of REITs (real estate investment trusts). That category offers its own set of risks. Shareholders of retail REITs like Macerich Co (NYSE:MAC) and GGP Inc (NYSE:GGP) have lost substantial amounts of capital over the past few years, amid a shift to online shopping. Traditionally safe healthcare-focused funds have struggled as well. REITs as a whole are in fact down over 7% so far this year, as rising Treasury yields have made their dividends less attractive — and the tax-friendly REIT structure has meant the benefits of tax reform have been seen elsewhere in the market. The rise of ETFs has provided another way to invest in real estate — and, at the moment, perhaps the most attractive one. Real estate index funds offer low fees and the ability to specialize in one category- or diversify across a range of offerings. They minimize the impact of company- and sector-specific developments and provide a straight bet on trends that should drive real estate higher in several key markets. With options in the ETF market proliferating, here are seven attractive ways to move into real estate investing. Expense Ratio: 0.12%, or $12 per $10,000 invested annually. Vanguard is the leader in low-cost index funds, which is one reason why the Vanguard Real Estate Index Fund (NYSEARCA:VNQ) is the largest real-estate-focused index fund in the market. VNQ focuses on U.S. real estate only — and primarily through investments in REITs. The fund is changing its tracking index to the MSCI US Investable Market Real Estate 25/50 Index this year. About 96% of the index’s weighting comes from REITs, with the remainder coming from services and development companies. It’s a broad index, with exposure across U.S. real estate. The fund’s largest holding actually is wireless infrastructure play American Tower Corp (NYSE:AMT), followed by retail giant Simon Property Group Inc (NYSE:SPG). But VNQ’s exposure ranges across the entire spectrum, from healthcare to industrial to office to residential. In essence, VNQ should mimic the performance of U.S. real estate as a whole. That strategy offers benefits, most notably in substantial diversification across sectors and markets. Struggles at any one company, or even in any sector, shouldn’t materially change performance — or disrupt a dividend yield currently over 4%. But VNQ also is a bit of a blunt instrument. For investors looking for more specific exposure to investing themes or particular sectors, other offerings might be more suitable. The US Diversified Real Estate ETF (NYSEARCA:PPTY) offers an intriguing twist on real estate investment. The fund was launched just in late March by small provider Vident Financial. And while it offers diversified real estate exposure in the U.S., it does so in a different way from VNQ and other broad U.S.-focused real estate ETFs. Most notably, PPTY is a “rules-based” ETF. 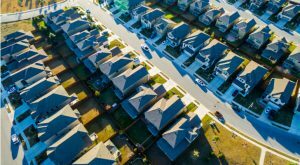 Rather than simply replicate the U.S. real estate space, it aims to provide better returns than the industry as a whole through a pre-determined investment strategy. Those rules include an emphasis on location. PPTY focuses on the 15 largest metro areas: nearly 15% of the index is concentrated in New York City-area real estate, with another 17%-plus combined in Los Angeles, San Francisco and San Jose, California. From a financial standpoint, PPTY targets REITs with lower debt, and it has a smaller share of retail than most real estate ETFs. Retail generally is the largest holding among real estate index funds. Here, it’s the third-largest category behind residential and office. PPTY does charge higher fees, due both to its strategy and smaller size. But for investors intrigued by the strategy — and those looking for less exposure to brick-and-mortar retail, the higher fees may be well worth it. Because of its narrower focus, REZ offers less diversification than a wide-ranging fund like VNQ. But that narrower focus might make the fund more attractive — particularly given its performance of late. Over the past three years, REZ has returned just 1.6% annually, well below the overall market and the real estate sector. Weakness in healthcare REITs such as Welltower Inc (NYSE:WELL) and Ventas, Inc. (NYSE:VTR) — which combined comprise over 13% of the portfolio’s holdings at the moment — has been a headwind. Should that headwind reverse, REZ could swing from underperformance to outperformance. Demographic trends look firmly in the fund’s favor. Aging populations should help the healthcare space rebound at some point. A higher percentage of renters versus buyers will boost demand at AVB and EQR. A 3.8% dividend yield only adds to the case for REZ at current levels — and makes the ETF an attractive option for real estate investors with a contrarian streak. 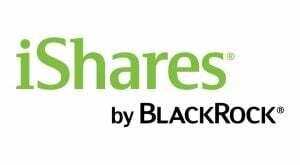 Investors looking for broad, safe real estate exposure can look to the PowerShares S&P 500 Equal Weight Real Estate Portfolio (NYSEARCA:EWRE). EWRE owns 33 stocks — the entire real estate sector of the S&P 500 index. There’s enough here to provide diversification among sectors. And the focus on S&P 500 components means investors are owning the biggest, oldest, and most successful REITs in the market. Equal weighting not only spreads the risk across the sector — but it means the portfolio rebalances by buying stocks that have weakened and selling those that have strengthened, hopefully allowing the fund to buy low and sell high. Like VNQ, EWRE does paint with a broad brush. It’s meant to replicate the entire REIT industry. But its focus on large-caps minimizes risk and volatility, and means the fund also prioritizes capital appreciation over distributions (EWRE yields under 3%). So far, that performance hasn’t been particularly spectacular — but if the sentiment toward REITs continues to reverse as it has over the past few weeks, EWRE should be a prime beneficiary. 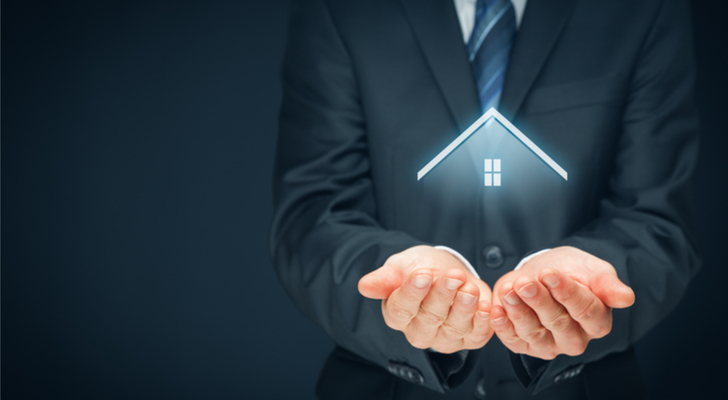 One of the attractive aspects of ETF investing is the ability to target specific characteristics — and real estate is no exception. 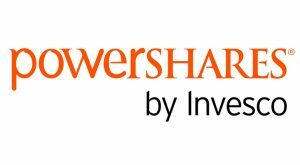 The PowerShares KBW Premium Yield Equity REIT Portfolio (NASDAQ:KBWY) focuses on small-to-mid-cap REITs with high yields. As a result, KBWY offers a distribution rate over 8% (using the SEC 30-day calculation). The high yield comes at a cost. KBWY’s largest holding is high-risk retail REIT Washington Prime Group Inc (NYSE:WPG), whose lower-end properties are potential victims of the “death of the mall.” Global Net Lease Inc (NYSE:GNL) and Sabra Health Ca/SH (NASDAQ:SBRA), the next two biggest positions, have challenges of their own, resulting in double-digit dividend yields. All three stocks look — possibly — like classic “yield traps,” as do other KBWY holdings. Still, past studies have shown that a basket of high-yield equities is worth the added risk. KBWY itself has done so, returning over 9% annually since inception. And for investors looking for value plays in the real estate space, and/or who believe that concerns in retail and elder care are overblown, KBWY represents perhaps the most intriguing choice. The IQ US Real Estate Small Cap ETF (NYSEARCA:ROOF) is another potential value play. ROOF focuses on the small-to-mid-cap REIT space. Its 70 holdings have an average market cap of under $2 billion. That in turn boosts ROOF’s yield to 5.6% — below KBWY but ahead of most real estate ETFs. It does add another layer of risk and changes ROOF’s diversification somewhat. Just 4% of the fund is residential-focused — well below the figure at large-cap ETFs. Still, that can lead to higher returns as well. Small-cap REITs have outperformed their large-cap peers over the past few years. As of the end of Q1, ROOF itself had returned over 8% a year even with negative performance of late. Investors looking to bet against the thesis that rising rates are bad for REITs — and pick up more yield and potentially higher returns in the process — would do well to consider ROOF. Investors interested in real estate can also look to the private markets. 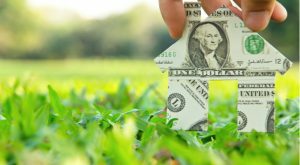 So-called “crowdfunding” platforms like Fundrise, Patch of Land and RealtyShares allow investors to buy a share of an individual property’s debt or equity. Minimum investments usually start at $5,000, with the platform taking a fee for syndicating the offerings. Fundrise even offers what it calls eREITs. Minimum investments in eREITs can be low as $1,000, and the direct offerings allow for lower fees while maintaining diversification. Liquidity in eREITs is more limited — Fundrise plans offer redemption every quarter at the moment — which does change the investment calculation somewhat. And returns so far have been solid, with the obvious caveat that the industry hasn’t experienced a real macro disruption over the past few years. Crowdfunding plans do take more research — and more attention. But their returns can be better, and they also provide an investor with the ability to apply industry- or market-specific knowledge to the investment. Article printed from InvestorPlace Media, https://investorplace.com/2018/05/7-great-ways-to-move-into-real-estate-investing/.